It’s been a week of new beginnings in La Liga or at least, a week of new opportunities. One was merited, one is doubtful and one disastrous. The three characters on stage are Ernesto Valverde, Diego Simeone and Marcelo, so let’s start with the disastrous and build from there. 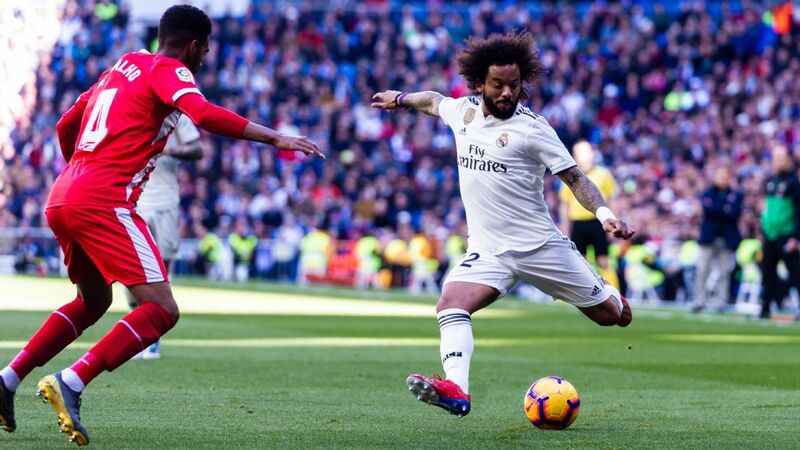 Even though it’s the decision that, in all probability, cut the legs off Madrid’s title chase, Santi Solari was well within his rights to think that Sunday’s match against Girona was an acceptable opportunity to sharpen Marcelo’s match sharpness, stamina and attitude. Los Blancos had managed to beat Girona twice in La Copa recently, with Marcelo playing 180 minutes. And while the Brazilian’s defensive laziness, his lack of defensive judgement and his physical state (reportedly overweight) meant that it was imperative he was dropped in La Liga, it’s not as if he’s become a spent resource. He might be a liability, yes, but not without the potential to turn that around and become an asset between now and the end of May. What’s deeply frustrating about this sunny-dispositioned 30-year-old is that he’s fabulously talented and entertaining, and he could still be at his athletic peak. Marcelo’s losing a battle many never thought he’d face at Real Madrid. Will he be able to turn the tide and regain his first-team place? Right now, Sergio Reguilon is boss of the left touchline. The clasico, the return leg against Ajax… hell, even if the Champions League final were to be played against Juve, PSG or Liverpool next weekend, it’d be the relatively inexperienced kid chosen to play left-back. No question. Not only is Reguilon defensively attentive but he’s hungry for his place (and follows the coach’s instructions), he’s athletic, he works hard, he views attacking (something he’s good at) as an adjunct to defending, not the other way around, and the mistakes of inexperience he makes can only be corrected by being given more game time. But let’s say he gets injured or suspended. Nacho can play at left-back but it’s far from optimal. The best choice would be Marcelo: leaner, determined to fight for his place but significantly refocussed away from the “defending is everybody else’s responsibility” misconception he’s so proud of now. And so, the Brazilian was given a new beginning on Sunday, a second chance. He wasted it, horribly. Girona manager Eusebio Sacristan targetted Marcelo from half-time onwards as Portu changed touchlines and ripped the inattentive, lead-legged left-back to shreds. Following the torrent of goals he’s directly cost Madrid against Sevilla away, Eibar away, Villarreal away, Barcelona in Liga and Copa and La Real in the Bernabeu, Marcelo added his fingerprints to Girona’s two best missed chances, Cristhian Stuani’s first-half shot and Aleix Garcia’s point-blank miss over the bar, plus both the goals, scored by Stuani and Portu. “Everything’s my fault… we carry on,” was his response to the social media factlet being bandied about that Madrid had won just once in his last nine starts while, with Reguilon starting, they’d won eight and drawn once. Our eyes can tell us where Marcelo’s dietary regime is at, and his form. That social media response from the Brazilian tells us where his mindset is. He’s feeling victimised instead of responsible and, all in all, must spell the end for Marcelo at Madrid. To my mind, Simeone’s renewed contract at Atleti is the “dubious” new opportunity, the risky “let’s begin again” idea. No matter their position, either statistically or in the two competitions left to them, I’d argue that the errors, the lack of fluency, the inability to make players perform at or near their best (Jan Oblak and Antoine Griezmann excepted), the flood of injuries, the vulnerability in the air, the lack of rehearsed set-play goals all amount to a draining away of the Simeone-Atleti personality. That Simeone has pledged to stay longer at Atleti, in La Liga, would be joyous news if the current trajectory weren’t negative. Admittedly, he’s intermittently trying to play a slightly different brand of football. Admittedly, there’s going to be a process of renovation when Diego Godin, who has stayed a season too long, Juanfran and Filipe Luis all leave. But standards have dropped. Don’t try and tell me they haven’t. Atleti no longer press and harass the life out of opponents; they are less sharp when it comes to converting a counter-attack into a goal and, frankly, they are currently being carried by their striker and their keeper. When — if — they can count on a fully fit, fully in-form Saul, Koke and Diego Costa, then things may improve. They may. However, the announcement of an extended contract for Simeone felt a little like an “All’s well, no reason to panic, nothing to see here… we know what we’re doing!” announcement. It feels a little like a solid couple of 20 years together, who have hit a rocky patch, deciding that recommitting their vows might do them good. I’d say that some couples counselling might be more in order here but that’s enough of the metaphors. My purpose isn’t to attack Simeone either because in headline performance rather than underlying trends, Atleti remain in a decent position for mid-February: they’ve got one trophy already won, they’re competitive in La Liga and they’ve got everything to play for against Juventus in the Champions League. 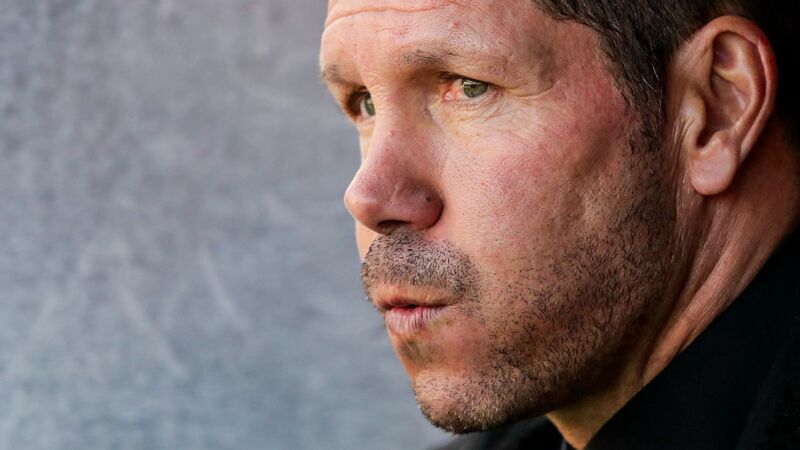 What needs to be constructively criticised, I think, is the thinking behind a new deal that succeeds the big new contract Simeone signed as recently as late 2017. Perhaps the Atleti directors are both sure, and correct, in their belief that Simeone isn’t just the right guy for the club, but that his message to his squad is still getting through. I have doubts. Perhaps the idea that Simeone — as he says is his strength — can teach, improve and make more this squad competitive will also be proven correct. I hope so. But I think that the current evidence suggests that it’s dubious. I’d say that what two great “inspirers” of men, Pep Guardiola and Alex Ferguson, have previously discovered remains pertinent for Simeone and his squad right now. Long tenures breed relaxation, boredom with the “same old message,” dropping of standards, relationship burnout and an absolute need for radical (and successful) squad change… or it’s time for the manager to seek renovation in a new challenge elsewhere. Ernesto Valverde isn’t universally beloved by Barcelona fans but he’s delivering on his promises and has earned his renewal. Finally, Ernesto Valverde. He’s far from the most popular among many hard-line fans of the club who yearn for different solutions, more convincing football or more promotion from the youth ranks, to name just three common criticisms. However, Valverde has two massive plinths upon which he can build his case to stay. First, Barcelona remain sufficiently motivated that they have won three trophies under him and are extremely well placed to add their second successive Liga title. Second, and most crucial, Lionel Messi is so transcendentally important to Barca that it’s impossible his opinion, even without necessarily ending up as the the dominant one, wasn’t consulted and taken into account. A raft of new players — Emerson, Frankie De Jong, Jean-Clair Todibo among others — have been signed with Valverde’s playing style and his continuation in mind. Valverde has promoted Carles Alena and given Ricki Puig, the Academy’s other shining diamond, the sensation that he can follow suit. 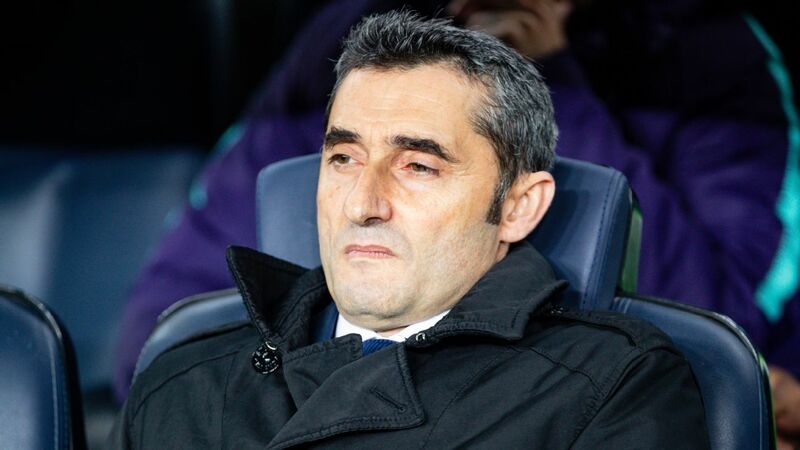 The media obsession with whether or not Valverde would accept or reject the third (optional, but with a buyout) year of his contract was beginning to hinder the squad and the team’s chances of finishing the campaign successfully. Therefore his renewal was well-timed and had merit. While it may neither please everyone or, ultimately, be enough to steer Barcelona to the Champions League triumph that they’re yearning for this season, it was still the best use of a new beginning that was offered to a Basque, an Argentinian and a Brazilian in La Liga this last week.